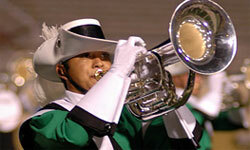 Now on sale through the Drum Corps International Box Office: SPECIAL OFFER: Get tickets to all four of the following Michigan events (a value of $66) for one low package price of $55! Order today! This package offer is available in limited quantities and only by ordering through the Drum Corps International Box Office at 317.275.1212 x3. 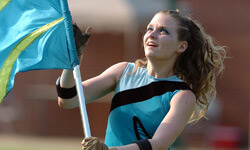 Legends Drum Corps Preview Location: Vicksburg, MI Date: Thursday, July 2 Stadium: Vicksburg Stadium Tickets: Starting at $20 Group Tickets: $15 for 20 or more Learn more about this event. Purchase tickets. 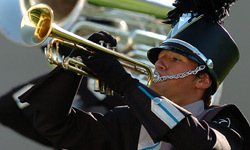 Motor City Music Tune-Up Location: South Lyon, MI Date: Monday, July 27 Stadium: South Lyon High School Tickets: $12 Group Tickets: $10 for 15 or more Learn more about this event. Purchase tickets. Silk City Rhythms Location: Belding, MI Date: Wednesday, July 29 Stadium: Belding High School Tickets: $12 Group Tickets: $8 for 20 or more Learn more about this event. Purchase tickets. 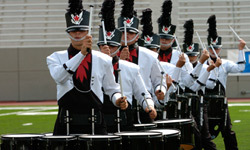 Drum Corps in the Village Location: Paw Paw, MI Date: Friday, July 31 Stadium: Paw Paw Middle School Tickets: $12 Group Tickets: $8 for 20 or more Learn more about this event. Purchase tickets.